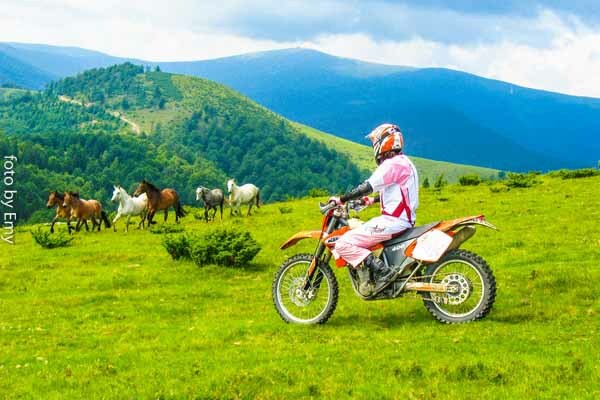 Romania, a country with many beautiful enduro tracks, is the country where every year in Sibiu one of the most extreme Enduro competitions from all over the world is organised: RedBull Romaniacs. It is a country with friendly people and rustic places, a trip back in time. 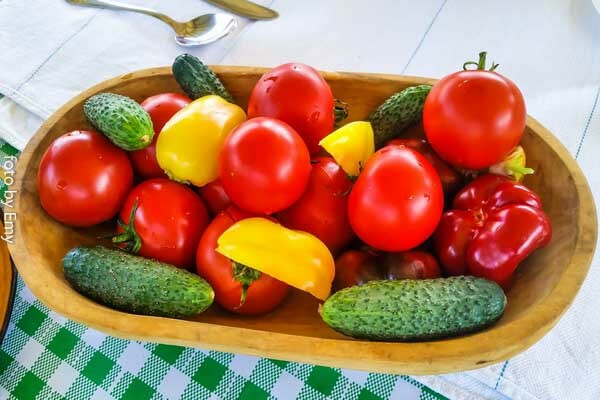 In the same time, Romania offers a unique and unforgettable gastronomical experience. In many houses, the cooking is still done on woodstoves, with ingredients from the own garden, all 100% natural, all prepared from the heart. 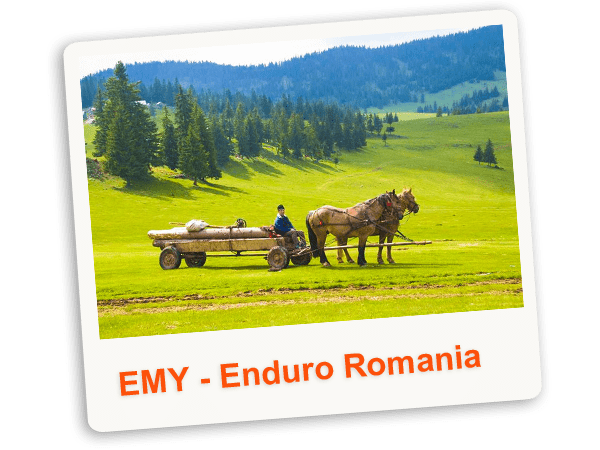 This is what we want to show you, Romania with all its beauty, and for this we have designed a full and well prepared enduro package, so that you can relax and forget all your problems when you twist the throttle and cross these beautiful Carpatian mountains. 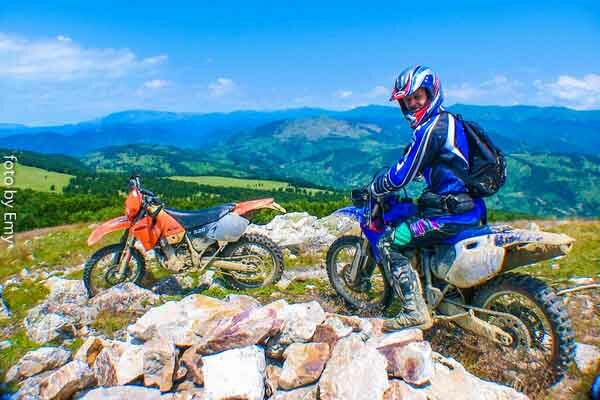 Enduro in Romania can be practiced in many places, and each location has its own advantages. 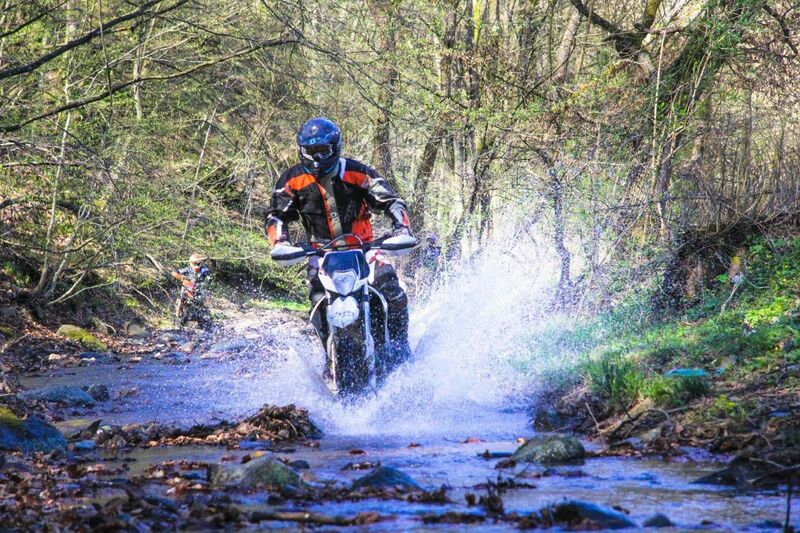 One of the advantages of our area is that the enduro season never ends. 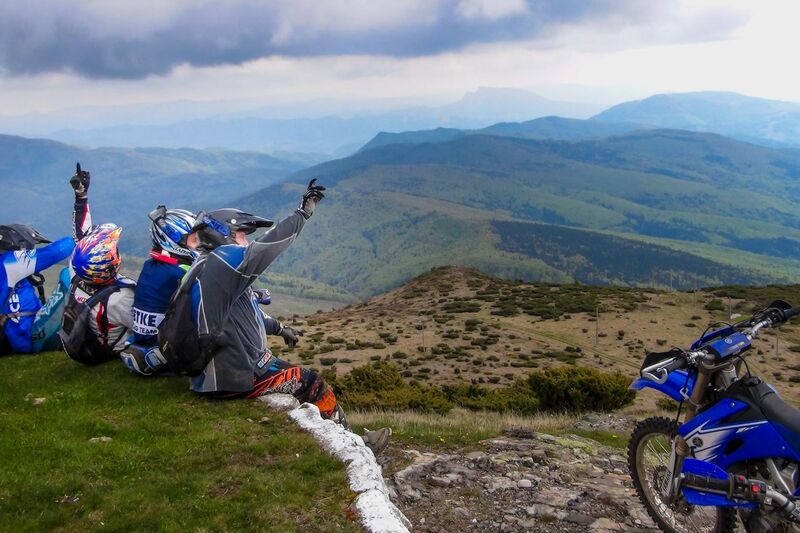 Here, the winter is very soft, with no snow, so that we organize enduro tours even in the winter. In the extremely rare cases when it snows (once every 5 years), the snow level has 5 cm, in comparison to other places, where even in july some of the enduro tracks are blocked by snow. 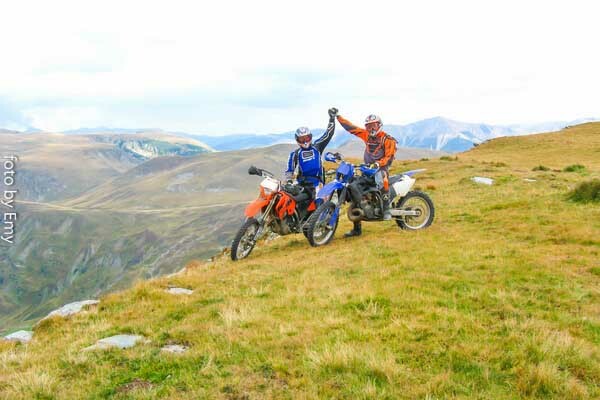 In november, december, january and february, we organise enduro tours with a difficulty level of middle up to hard, with focus on hard tracks for warming up. In these winter months, also enduro training can be done, as the temperature during the day is sometimes over 10 degrees. Soft tracks are not recommended for this period of the year, only after march. In Romania – Arad, in the past years, the summer months got colder and colder. There is practically just 1 month per year during which we can go to the beach. 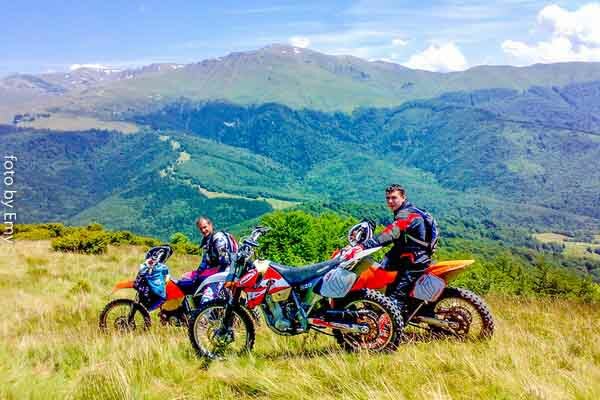 For example, on 15th July 2016, at 10 o’clock, we had 18 degrees, and at 15 o’clock the temperature has risen to 24 degrees, but in the forest, on the enduro tracks, the temperature is always with 3-4 degree below the temperature in the city, and in summer, the best tracks are the ones in the shadows of the forest. Another example, on 12th of august 2016, 10 o’clock, we had 17 degrees and at 15 o’clock, only 22 degrees, in the city. 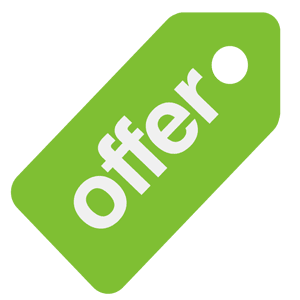 You must have luck with the weather, but regardless of the weather conditions, we have always satisfied our customers, giving them the proper enduro package for each team, because we pay great attention to each driver, so that each and every one of our guests has a good enduro holiday. 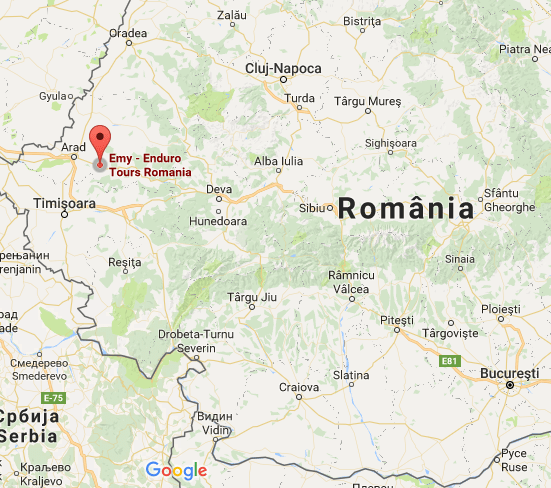 Another advantage of this area is it’s position, in the western part of Romania, close to the border with Hungary. From the border, you have to travel only 1 hour, out of which 50 km are done on the highway, and the rest on good quality national roads. 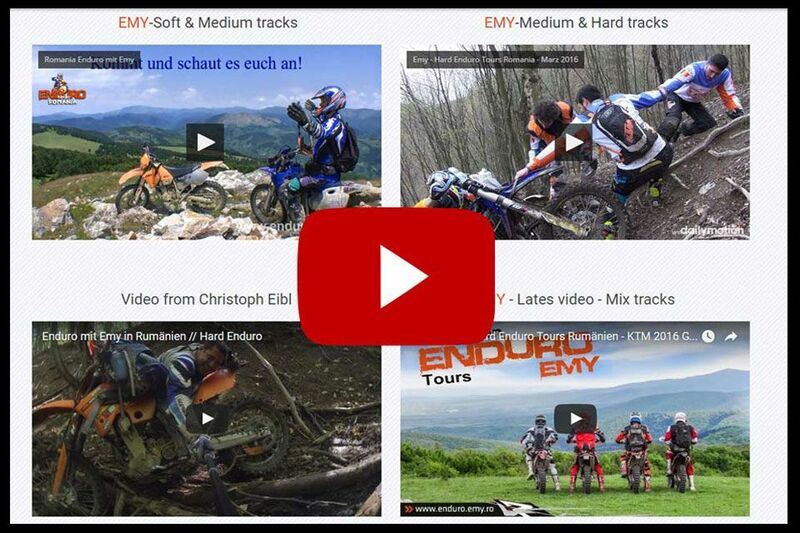 Enduro Emy is easy to find, only 3 crossroads away from the border. 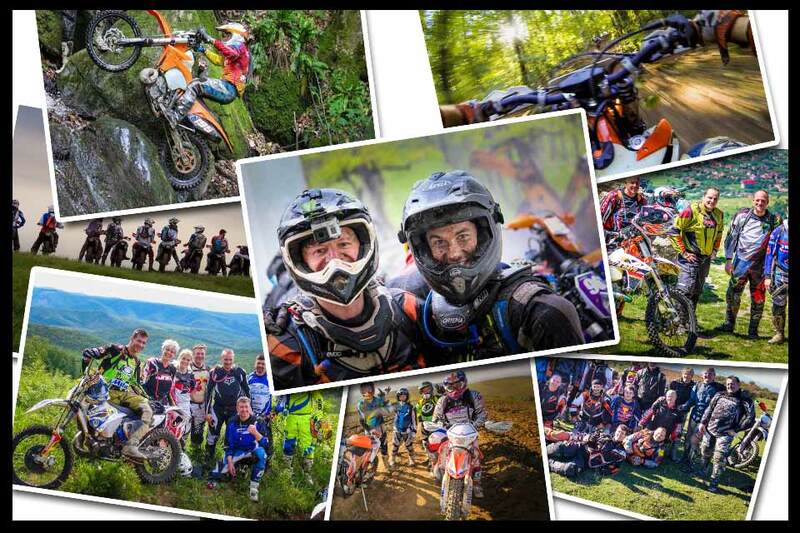 If you choose once to spend your enduro holiday with us, you will for sure do it again! 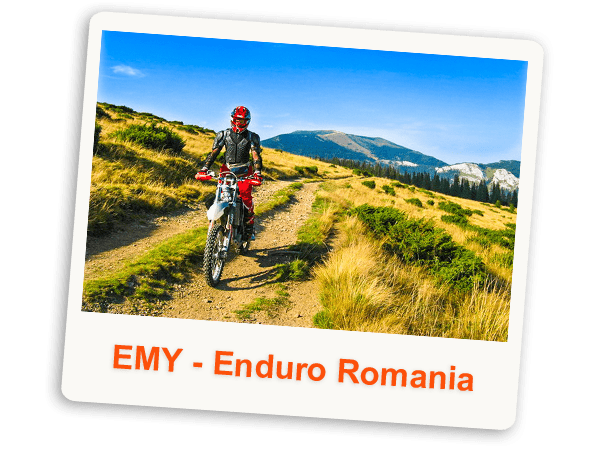 The year long experience that we have in this field, the passion that we put into all the details, the respect we show to our guests, the great accomodation and close location, all together make Enduro Tours Emy an awesome enduro package! 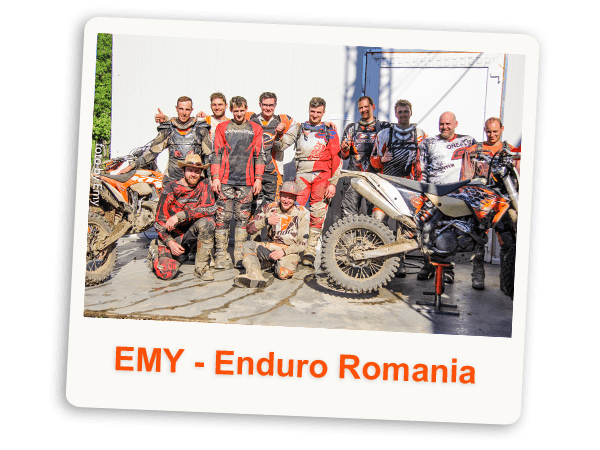 We pay attention to make sure that you feel so good, that you will not only come back, but bring more friends the next time, so that you can show them what Enduro in Romania at Emy means: a different enduro concept, customized exactly for your needs!
" We have been now several times in Romania. From now on there is only Arad for us! Simply because everything is great! Starting with the tourguide and his lovely wife Diana, the great surroundings, the variety of tracks, and last but not least the short arrival. Who has been to Romania knows, that one is glad for every single spared kilometer on the Romanian roads! Conclusion: when we will have the next opportunity, we will come for sure! Greetings from Petra and Rudi."